Cañada College Digital Art & Animation alumni Ace DelRosario has landed an internship with NBC/Universal! After completing his certificate in Digital Art & Animation, Ace moved on to California State University, Northridge, completing his Bachelor’s in Visual Arts with a concentration in Animation. Ace’s career goals include character design and concept art, skills that will be very valuable in his position as a product development and creative intern at NBC/Universal. In addition, Ace has volunteered his time at the Creative Talent Network Expo, a convention for animation artists, held annually in November in Burbank. 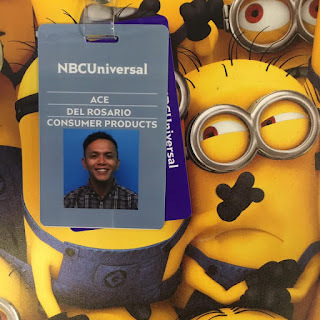 Photo caption: The minions from “Despicable Me” are wary about their new co-worker, Ace DelRosario. No worries, minions; Ace will do a great job!